Thanks to a terrific grant-writing effort by Associate Director Jack McNeill, Pace Law Library was selected to host a traveling exhibit entitled “Lincoln: The Constitution and the Civil War,” a collaboration between the National Endowment for the Humanities, the National Constitution Center, and the American Library Association. We know Jack must have written a great application because we were one of only 50 chosen libraries – and the only law library! “Do you ever have one of those days when everything seems unconsitutional? [e]ach generation evokes a different Lincoln. 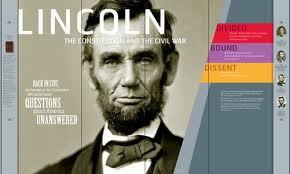 The exhibit should help you make up your own mind about Lincoln’s legacy. It is set up on the third floor of the Law Library – but, be quick, it’s only there until April 11th. On March 6, 2012, at the opening of the Lincoln Exhibit, Dean Mark Shulman discussed “What Abraham Lincoln Can Teach Us about Confronting National Security Threats in the 21st Century.” He analyzed Lincoln’s measured approach, made palatable by transparency, to dealing with secession, emancipation of slaves, and the suspension of habeas corpus. If you missed this thought-provoking talk, it is available online on the Law School’s website. It is no wonder that Lincoln’s efforts spawned such controversy and that scholars continue to examine the long term effects of Lincoln’s actions. 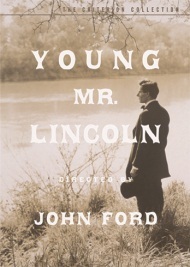 See, for example: contemporaneous articles from Harper’s Weekly; Law Professor Daniel A. Farber’s Completing the Work of the Framers: Lincoln’s Constitutional Legacy, 27 Journal of the Abraham Lincoln Association (2006); videos from the New York Historical Society’s Lincoln Series, featuring Professor Richard J. M. Blackett from Vanderbilt University, David W. Blight, Director of Yale’s Center for the Study of Slavery, Resistance and Abolition, Professor Paul Finkelman from Albany Law School, Professor Emeritus James M. McPherson from Princeton University; and Abraham Lincoln Institute’s annual symposiums. On Wednesday, March 21 at 5 p.m. in the Problem Room, there will be a second talk, this time by Professor Jeff Miller, entitled “Lincoln’s Constitution and the Unitary Executive Theory.” This remains a hot topic as the scope of presidential authority has been no less an issue in recent times than it was during Lincoln’s tenure. 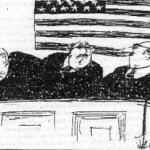 See The Unitary Executive: Presidential Power from Washington to Bush, KF5050 .C35 2008, and Absolute Power: How the Unitary Executive Theory is Undermining the Constitution, KF5050 .M33 2008. 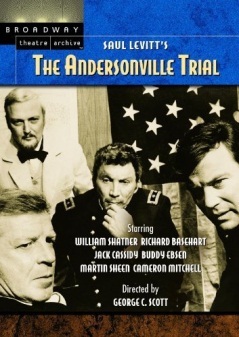 The Law Library is also hosting “Thursday Night at the Movies” in conjunction with the Lincoln exhibit. 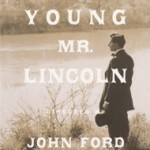 On March 15th, the Law Library screened Young Mr. Lincoln (1939), starring a young Henry Fonda as Abraham Lincoln in a fictionalized version of his early career as a lawyer. 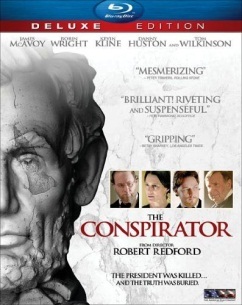 If you missed it, it is available in the Law Library’s Law in Film Collection and, if you don’t know how Lincoln tripped up the eye witness to a murder on a moon bright night, you should check it out! 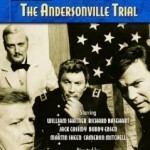 The Andersonville Trial (1970), directed by George C. Scott and starring Cameron Mitchell, William Shatner, Jack Cassidy, and Martin Sheen in an Emmy-winning dramatization of the 1865 trial of Henry Wirz, commandant of the Confederate prison at Andersonville, Georgia. 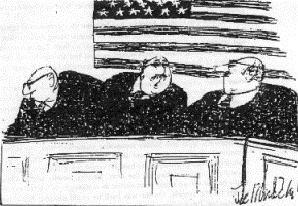 Further discussion of the trial can be found on the Famous Trials website. 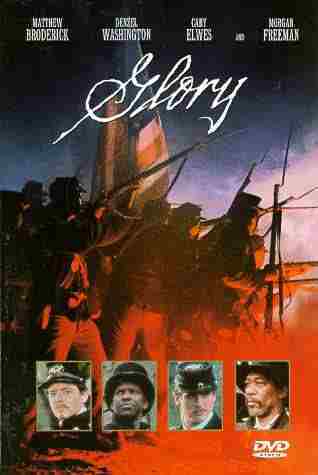 Glory (1989), starring Matthew Broderick, Denzel Washington, Cary Ewles, and Morgan Freeman in a compelling depiction of the 54th Volunteer Infantry Regiment of Massachusetts, the Civil War’s first all-black volunteer company, and its commander, Robert Gould Shaw. 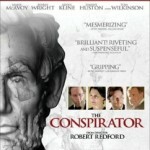 The Conspirator (2010), directed by Robert Redford and staring Kevin Kline and Robin Wright in the story of Mary Surratt, the only woman charged as a co-conspirator in the assassination of Abraham Lincoln, and the lawyer who represented her.